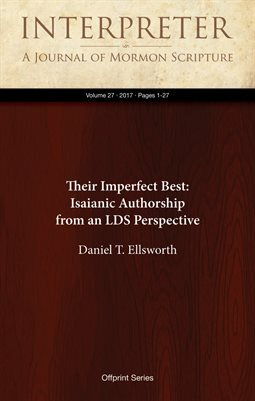 For Latter-day Saints, the critical scholarly consensus that most of the book of Isaiah was not authored by Isaiah often presents a problem, particularly since many Isaiah passages in the Book of Mormon are assigned post-exilic dating by critical scholars. The critical position is based on an entirely different set of assumptions than most believers are accustomed to bring to scripture. This article surveys some of the reasons for the critical scholarly position, also providing an alternative set of assumptions that Latter-day Saints can use to understand the features of the text.